I don’t mean my very simple title to be taken lightly. Many people sing. Very few of them are singers. Maud Hixson is one of that small group. 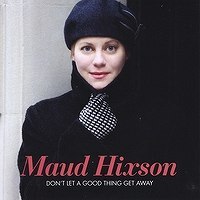 I’m not alone in thinking so: ask Warren Vache, Joe Lang, Will Friedwald, Sandy Stewart, Amanda McBroom . . . .
Maud is based in Minneapolis, and so she and I had only crossed paths when I was asked to review her 2007 CD, LOVE’S REFRAIN, for CADENCE. I was won over before the end of her first chorus. She is sincere without ostentatiously Being Sincere; her cool voice and precise diction were only the outer coverings for a great warmth, deep feelings contained below. She is sure without being forced, quiet without being timid. And when she approaches a lyric, we quickly know that she knows what the words mean; she isn’t using words as steps to get from one note to the next. A Hixson song is a small, apparently casual, fully realized offering. 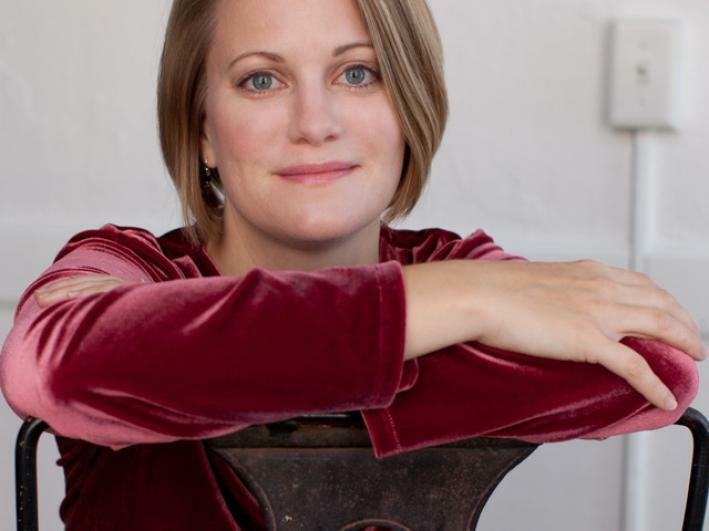 When I found out that she had a new CD, I was eager to hear it — and it is a delight: learn more here. DON’T LET A GOOD THING GET AWAY is devoted to the subtle, often surprising songs of Michael “Mickey” Leonard. Leonard might not be well-known, but we know his I’M ALL SMILES and WHY DID I CHOOSE YOU. And he’s also collaborated with Carolyn Leigh and Marshall Baer. Maud has wisely surrounded herself with the finest jazz players: Warren Vaché, cornet; Tex Arnold, piano; Steve LaSpina; Gene Bertoncini, guitar, giving the disc a modern-Basie feel. Here’s the title track as prelude to Maud’s conversation with Twin Cities interviewer Mike Pengra. If you don’t know Maud Hixson, you’re in for a delightful surprise. Hear her float beautifully — offering music and lyrics with subtle mastery — with that wonderful small band. If Mickey Leonard is new to you, there is another delight in store. “Don’t let a good thing get away” is doubly apt in this case. This entry was posted in "Thanks A Million", Bliss!, Pay Attention!, Swing You Cats!, The Heroes Among Us, The Real Thing, The Things We Love and tagged Amanda McBroom, Carolyn Leigh, Gene Bertoncini, Jazz Lives, jazz singing, Joe Lang, Marshall Baer, Maud Hixson, Michael Leonard, Michael Steinman, Mickey Leonard, Mike Pengra, Sandy Stewart, singing, Steve LaSpina, Tex Arnold, Warren Vache, Will Friedwald. Bookmark the permalink.